Experiencing violent sexual abuse as a little boy, being too afraid to tell anybody about his pain, he only found comfort in classical music he listened to on his fathers cds. Ever since then classical music has been a very important part of his life. As many others he learned to play the piano when he was about seven but he tried very hard getting along with pieces too complicated for his abilities, he admits today. So he stopped trying and started a career in the City of London, perfectly denying his inner self and his deepest wishes – and suffered a complete breakdown, spending nine months in different mental institutions „trying the best to kill myself“, James Rhodes says. „Perhaps it was this new-found pressure that came from knowing I finally had a shot at what I really wanted.“ he writes on his internet sites – playing classical music. The kind of music a friend smuggled through to him on an iPod when he was completely isolated, without any contact to normal life. Luckily he stumbled into his eventually-to-be manager who not only realized Rhodes’s genius but finally opened doors to household labels like Warner Brothers. „The notion that the concert pianist has to be selected from birth and nurtured/trained cruelly for countless hours, that he or she can only succeed by winning competitions and attending the best conservatories is simply not true.“ writes James Rhodes on his website. Though he admits that he was and is very lucky, earning his living with his beloved music. „Almost every piece of classical music is universal. If you have the chance to hear it. James Rhodes playing more than 100.000 notes from memory alone not only talks to the audience trying to bring music and composers to life, getting them grounded, he also explains that he has difficulties playing a special piece and why. 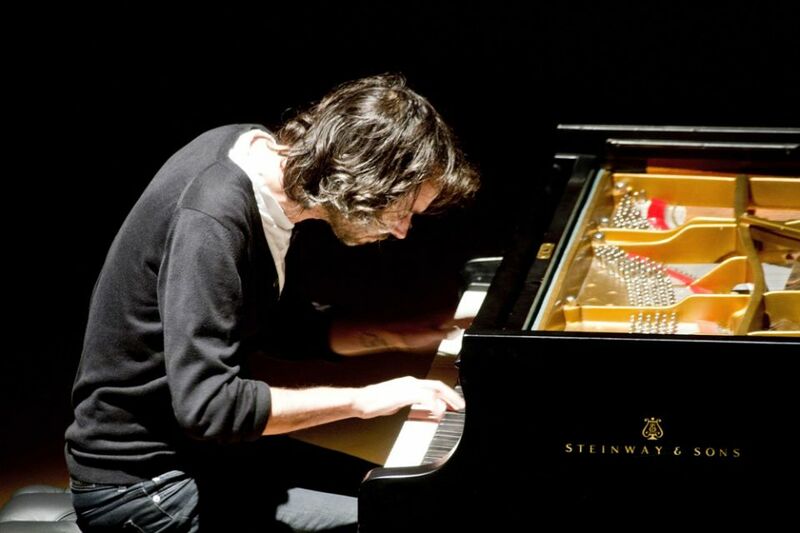 His honesty is baffling – when he writes on twitter that he desperately is in need of more coffee, very nervous just right before a concert and his openness helps him fulfilling his mission: Getting classical music back to ordinary people. The German version of his article was first published in the weekend supplementary „Fränkischer Sonntag“ 8th Sept 2013 of the German newspapers Fränkischer Tag, Bayerische Rundschau, Coburger Tageblatt, Saale-Zeitung sharing the platform infranken.de. Translation by Petra Breunig – feel free to share this blog entry but please don’t forget to quote properly.